The Detainees Parents Committee in occupied Jerusalem said Israeli soldiers invaded Ras al-‘Amoud neighborhood, in Silwan, and the al-‘Eesawiyya town, stormed and searched several homes, and kidnapped seven children. Six of the kidnapped have been identified as Bakr ‘Oweiss, 16, Wael Salayma, 16, and Nour Zaghal, 17, from Ras al-‘Amoud, in addition to Karim Mustafa, 15, Yousef Mustafa, 16, and Shaker Mustafa, 16, from the al-‘Eesawiyya town, in the center of Jerusalem. The Committee said the kidnapped children would be sent to the Jerusalem District Court, Monday, and will likely be remanded for further interrogation. Soldiers also invaded Qaryout village, near the northern West Bank city of Nablus, broke into and violently searched several homes and kidnapped three Palestinians identified as Hussein Mardawi, Thaer Mardawi, and Hareth ‘Allan. Furthermore, dozens of military vehicles invaded the villages of Deir Sharaf, Zawata and Beit Eeba, west of Nablus, broke into homes and searched them, and kidnapped Mohammad Me’ary from Zawata, and Khaled Abu Bader from Beit Eeba. In the southern West Bank district of Hebron, soldiers invaded various communities, searched homes, and kidnapped five Palestinians, including a father and his son. Media sources in Hebron told the IMEMC that the soldiers kidnapped Mahmoud ‘Ali Rajoub, 49, and his son ‘Alaa, 26, after violently searching their home, causing excessive property damage. The soldiers also invaded the al-Fawwar refugee camp, south of Hebron, and kidnapped two Palestinians identified as Mohammad Fayez Abdullah, 21, and Mohammad Zaki Abdullah, 20, also after searching their homes, and ransacking their property. In addition, soldiers installed roadblocks on various main roads leading to Yatta town, the al-Fawwar refugee camp, Sa’ir town, and the Halhoul Bridge north of Hebron city, stopped and searched dozens of cars, and examined the ID cards of the passengers while interrogating them. The soldiers also invaded various neighborhoods in Hebron city, and installed roadblocks in different areas, before stopping cars and examining the ID cards of the residents. Two more Palestinians have been kidnapped in the northern West Bank city of Jenin, after the soldiers invaded and ransacked their homes. The two have been identified as Nathmi Hilmi Zakariyya Yousef ‘Azzouqa, 24 years of age; both live in Jenin’s Old City. In the central West Bank district of Ramallah, soldiers invaded Beit Rima town, northwest of Ramallah city, and kidnapped two Palestinians identified as ‘Omar ‘Abdullah Rimawi, and Adham ’Akef Rimawi. 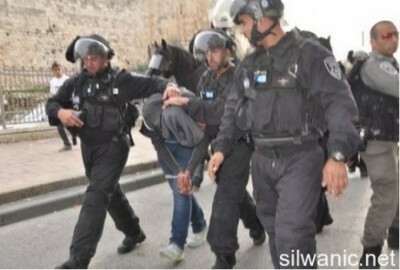 In Bethlehem, soldiers invaded Beit Fajjar town, south of the city, and handed resident ‘Eid Mohammad Taqatqa, 26, a military order for interrogation in the Etzion military base, south of the city. A similar order was handed to Islam Za’al Salem, from the Shawawra village, east of the city, after the soldiers invaded it. Soldiers also stormed several homes in Beit Fajjar, including the homes of Mohammad Hasan Taqatqa and Khalil Ibrahim Thawabta, and violently searched them causing excessive property damage. In related news, soldiers kidnapped two Palestinians, allegedly after crossing the border fence with Gaza. The army said the soldiers searched the two Palestinians, who were unarmed, and moved them to an interrogation center. On Sunday evening, soldiers kidnapped a Palestinian from Beit Ummar, north of the southern West Bank city of Hebron, as he headed to the Etzion military base for interrogation. The Palestinian, Mohammad Ibrahim Abu Ayyash, 20, received an interrogation order, earlier Sunday, and was taken prisoner directly after arriving in Etzion.